I was just laying in bed unable to sleep and thinking about Dakkon Blackblade (as one does). 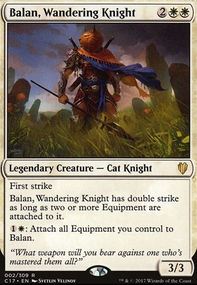 I got to thinking, there is a Blackblade Reforged card and Korlash, Heir to Blackblade , Demonlord Belzenlok had the sword and ol Gids is the current wielder. 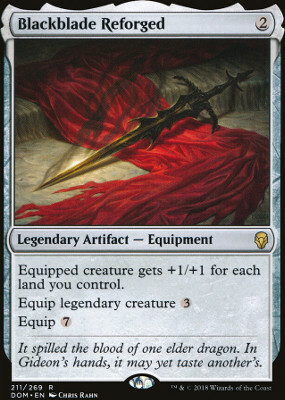 I could totally make an edh deck based on the lore of blackblade (plus some ramp so it can be not completely terrible). 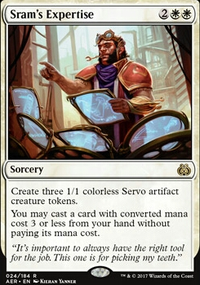 My question to you is; if you were to make a janky lore based edh deck, what story in magic would you base it around? Actually, I don’t know. cdkime I agree, it is quite possible Lili gets a Deus Ex Machina- We all know Wizards would go there. My personal dream? Lili and Gids die. Lili saves Gideon from the zombie army. 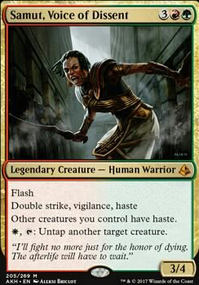 Teferi slows Bolas down just long enough for Gideon to shank him with the Blackblade Reforged . 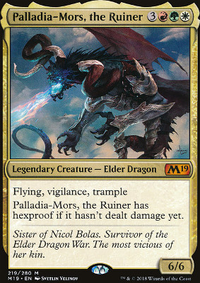 But Nicol Bolas, choosing in his last split second to die in glorious spite, sacrifices his soul to envelop Ravnica in a massive conflagration of death. Gideon, battered and weary, takes his last action- forming a bubble around the largest group of people he can find. Liliana falls to her knees. Well, she chuckles, live by the death magic, die by the death magic. On a different note I was a little sad not to see more Angel's and demons. I came up with a concept for an Angel's and demons deck that runs Lillian's contract. But I cant get it to something functional. This deck does seem to function similarly to my Elenda, a Rose as Sweet deck. 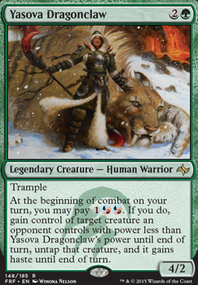 I think Blackblade Reforged would go well here if your aim is to win with commander damage.